Logged into Facebook and saw this prototype underwater housing for the Nikon D7000 made by Hugyfot. It seems to come in the same curved design like all of Hugy’s housings. Sled mounted housing is a big deal — at least you get the entire camera in without having to worry if didn’t put it in right. 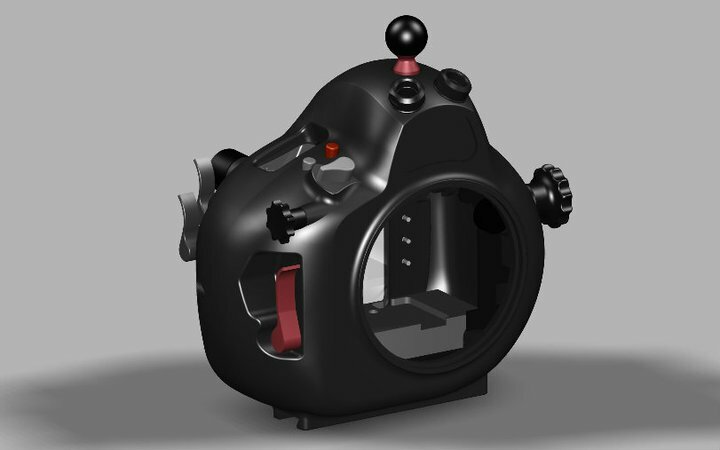 Attached you’ll find some CAD/CAD pictures of the new Hugyfot housing for the Nikon D7000. We expect the first working prototypes to be ready early January 2011. Pwd din pla palitan mga h0using ng mga Digicams?hehe. .wow. .